Let me start with the photo of a cheap Backpack LED safety light from China. It’s undoubtedly a beautiful and pretty useful safety gizmo for walkers and wheelers. 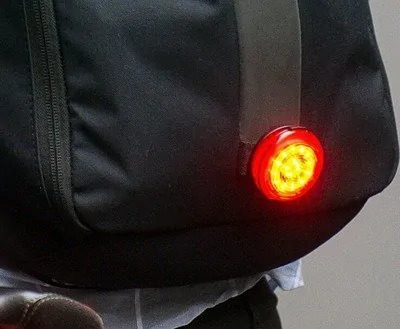 The battery operated red LED ring used in the device inspired me to create my own backpack safety light but with some betterments. Coincidentally I found a vast range of NeoPixel LED rings at an Indian online store that fits correctly into the puzzle! 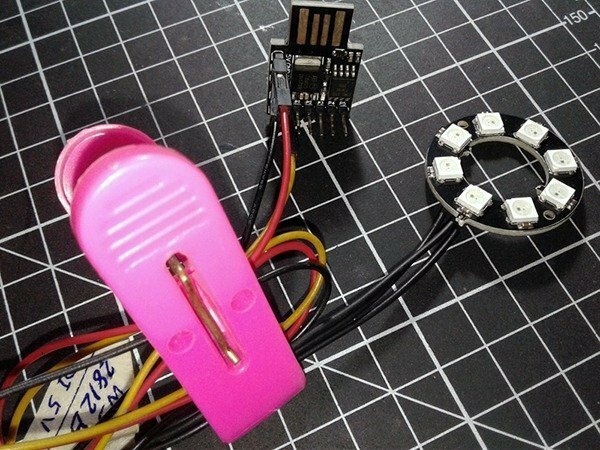 NeoPixels are Adafruit’s brand of individually addressable RGB pixels that communicate over a single-wire interface. The minimal wiring method makes them good for succinct projects like the one introduced here. 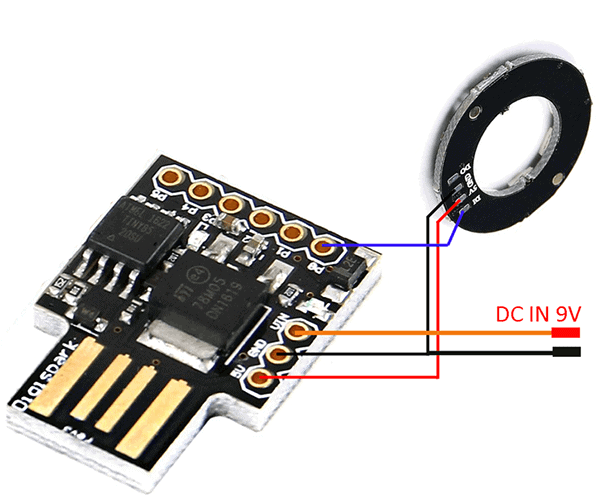 The NeoPixel combines a dedicated controller, specifically the WS2812 produced by World-Semi, with three individual LEDs – one red, one green, the other blue. Concisely, WS2812B has a better physical and technical structure than WS2812, and one spotlit advantage of WS2812B is that its RGB KED chip has a higher brightness and color uniformity than WS2812. Also there’s a reverse power supply input protection circuit in WS2812B. 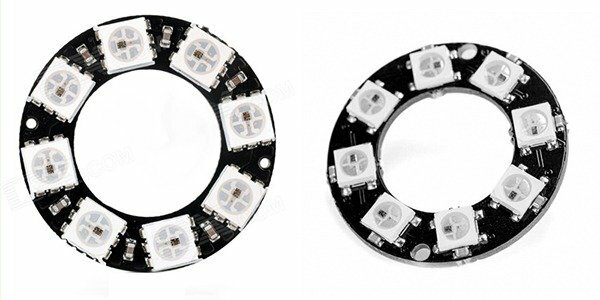 Now we can find various WS2812 and WS2812B NeoPixel RGB LED rings in the market (both rings are pretty stunning indeed). 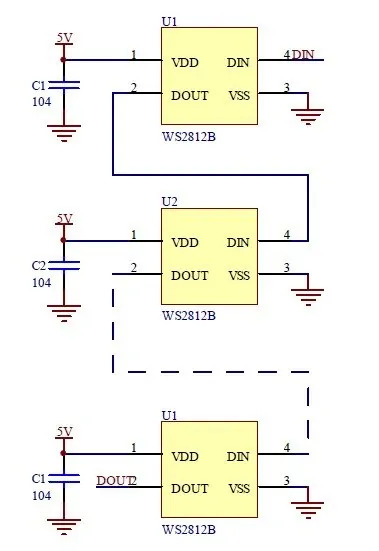 Here’s the typical application circuit of WS2812B. According to World-Semi, the data transfer protocol use single NZR communication mode. 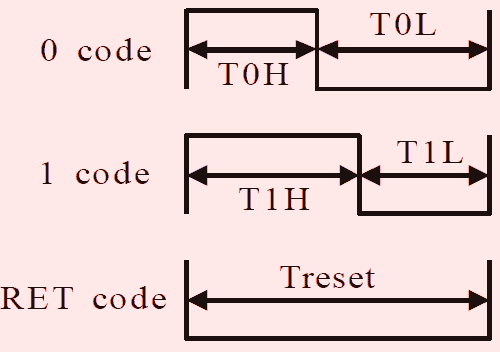 Since the data transfer protocol use single NZR communication mode, after the pixel power-on reset, the DIN (control data signal in) port receive data from controller, the first pixel collects initial 24-bit data, then send to the internal data latch, the other data is sent to the next cascade pixel through the DO (control data signal out) port. See the relevant sequence chart below. It’s best to build the hardware into a beautiful enclosure that also gives enough room for the battery pack. 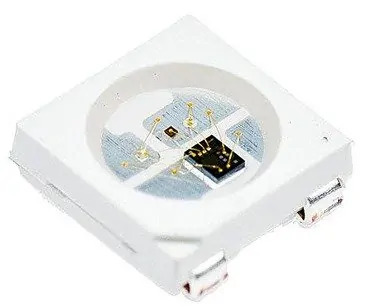 Make sure that the LED ring can deliver its light unimpeded to its environment. In addition, don’t forget to include a small power supply switch on the back. I could probably come up with another automatic (and multi-mode) backpack safety light, but greater lack of free time makes this just another project I’d like to find time to work on. Therefore I thought I’d mention it to yourselves, to see if it might be the sort of thing you would like to think about and possibly come up with a cheerful model!